My heart is aching like yours is. And I know that if I let myself, I'll fall into a well of perpetual worry, despair, resentment and anger. A little anger is OK. In small doses. See: my Facebook statuses circa November 2016. But life, as we know, can't always be led by those emotions; living in a state of constant negativity isn't healthy, and studies show that prolonged bouts of negative feelings and stress can lead to real health problems. One of the things I do that helps me counteract the mindfuck that is America is to create a space that nurtures creativity and provides a sense of sanity. For me, that means surrounding myself with things that are good and beautiful — from photographs and perfume bottles to books and natural things. I've fallen madly in love two books that inspire me to tap into my magical side. I received Hygge: The Danish Art of Happiness as a gift, which makes complete sense as far as I'm concerned — I'm definitely the kind of person you buy 'cheer up' books for. Hygge (pronounced hue-gah): is all about cozying up with a book during a winter storm or lighting candles. The mythos says the Danes create the concept of hygge to get through brutal, dark winters. English doesn't quite have a word for the happiness attained from cozy, simple, healthy things in life, but the Danes do! The book doesn't just go into what hygge is all about or where it came from, it shows you how to be hygge — complete with recipes and decor tips. If you're in any way attracted to DIY, decor or ritual, this is the book for you. 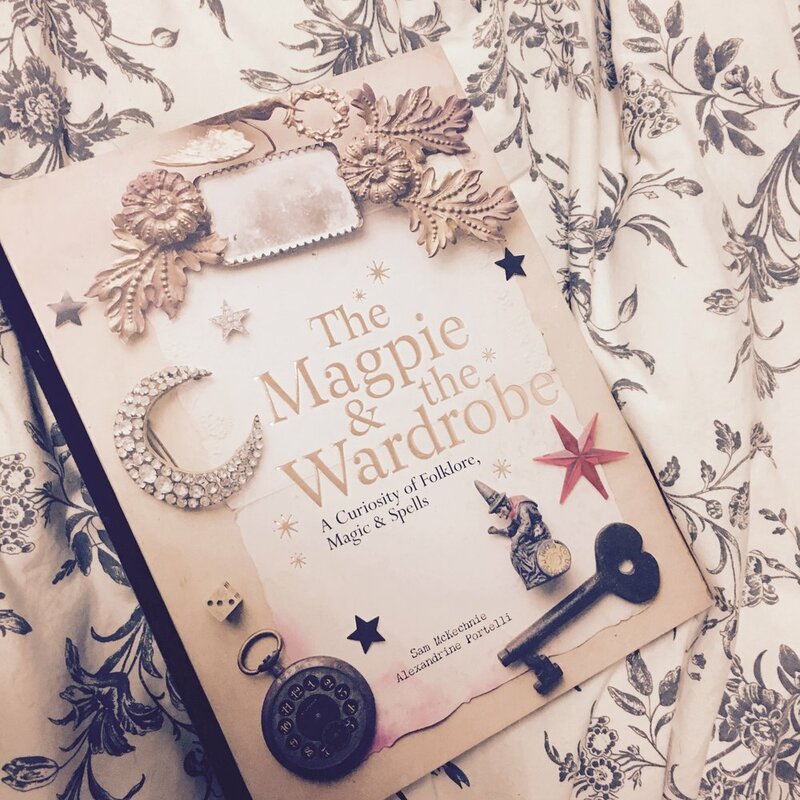 The same gift-giver above knows me pretty well, because I also received The Magpie & the Wardrobe: A Curiosity of Folklore, Magic & Spells. Yes, the cover is a bit hectic (and, if I'm honest, a tad childish), but the book itself is fantastic. Filled with prophetic rituals and potion how-tos, any one page lets you get lost for hours. So if you need any inspiration at all, I would so recommend these books. They're not just just gorgeous (they will look very pretty on your shelf! ), they're useful. You can take it page by page - no need to read in order.